Keeping a newborn safe and healthy is a primary concern for all parents. As a parent with another one on the way, I have a somewhat irrational fear of SIDS (Sudden Infant Death Syndrome). 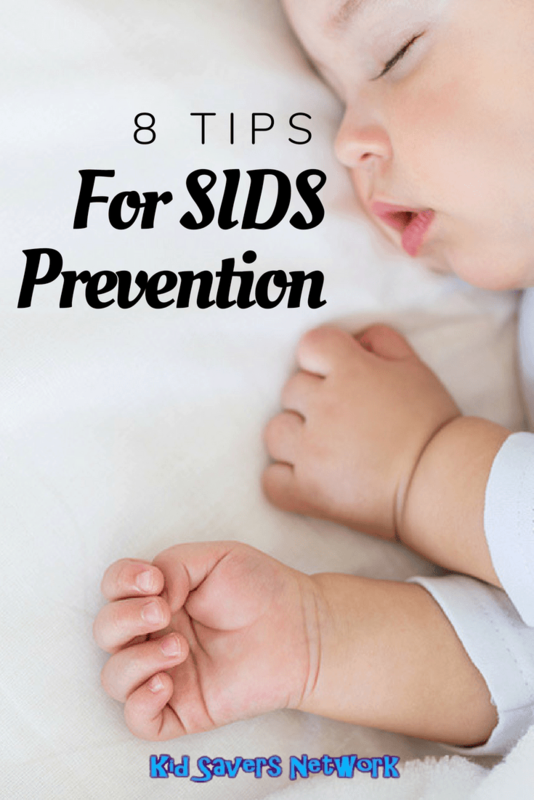 Some people believe it’s hard to take precautions against SIDS – but that’s simply not true! 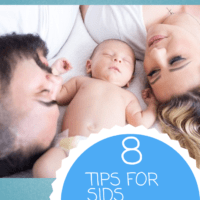 In this article we will share 8 great tips for SIDS prevention that are backed by scientific study. There are only three possible sleeping positions for newborns; “Supine” (on their back), “Lateral” (on their side) and “Prone” (face down). 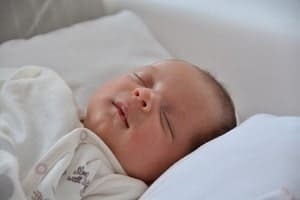 After extensive studies, the American Academy of Pediatrics recommended that sleeping in the supine position is the safest position for newborns. The Government launched a “Back To Sleep” (now renamed “Safe To Sleep”) campaign in 1996. Since that time, deaths attributable to SIDS has reduced by around 50%. The prone position is believed to be the worse for a baby. One reason for this may be to due with sleep patterns and brain development when in the prone position. Previously, the side position was also advocated as “Safe”. However, the position is not stable and babies can easily roll onto their stomachs. We need to pay particular attention to our little one’s sleeping positions in the first 6 months. 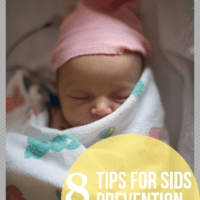 The risk from SIDS is most prevalent when a newborn reaches 2 – 3 months. Soft or loose bedding can increase the risk of suffocation and SIDS. Newborns should not be placed on top of pillows, quilts, comforters or thick-blankets. It’s best to use a safety-approved, firm crib mattress that’s waterproof on the outside with a fitted sheet to increase safety. Never sleep with your infant in an armchair or sofa. Sleep Sacks help prevent SIDS. To help prevent SIDS, all soft objects such as pillows, soft toys, quilts, blankets and comforters shouldn’t be in a sleeping baby’s crib. In quite a few SIDS cases, infants are found with soft coverings over there head. They are also found in the prone position on top of a pillow or soft toy. Ensure any bumper pads are not overly cushioned. They should be firm, thin and well secured. If you are using blankets they should come no higher than the shoulders and be well tucked under the crib mattress. 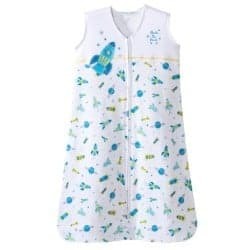 Another alternative many parents prefer is a baby sleep sack. These are designed to keep a newborn warm without the risks associated with covering their head. Stop people from smoking in the same room as your baby. Smoking whilst pregnant and after the baby’s birth has been shown to be a risk factor in SIDs. Second-Hand smoke poses a number of other health risks for newborns, too. To be completely safe, it’s best to ask people to smoke outside. Too much bedding or clothing, or a room that is too hot can be dangerous for a newborn. They don’t need a really hot room, try to keep the temperature at about 65 F.
Don’t worry if an infant’s hands or feet are cool to the touch. This is normal but if they’re sweating or their tummy is hot, remove some clothing or bedding. In summer, your newborn might not need any bedding other than a sheet. Remember, babies lose excess heat through their heads so don’t let a baby’s head be covered when they’re sleeping. A fan in a warm room has also been shown to help reduce the risk of SIDS. Breast feeding for 6 months (or longer) has been proved to be great SIDS prevention. 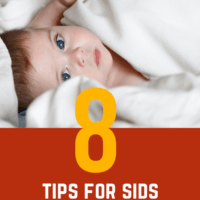 There are 8 great reasons why breast milk is good at preventing SIDS. It fights off infection betters and i s better for an infant’s developing brain. Breast milk also carries the hormone progesterone, a hormone that stimulates breathing so it helps keep a baby’s airways open. 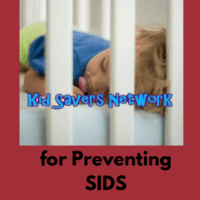 In a large 2004 study, it was shown that SIDS cases were lowest in infants who slept in the same room as their mother, but in a safety-approved crib, cradle or bassinet. There are a lot of arguments over the risks of cosleeping. The research shows that in Asia it is common and relatively safe. For some reason, it is a risk factor is higher for Western babies. The obvious danger is a parent can roll over and suffocate their little one. However, all the factors are not know for sure. If you’re thinking of co-sleeping and are concerned about the risks, a Halo Bassinest might be a more suitable option. There’s a lot of scaremongering on the internet about certain vaccines causing SIDS. However, the reverse is actually true. Vaccines help prevent SIDS. It was shown in 2005 that babies who have followed the American Academy of Pediatrics’ immunization guidelines have half the risk as babies who weren’t fully immunized. The World Health Authority has a great page on the common misconceptions about Immunizations and SIDS.